In 14th century, East Java was part of the biggest and the most powerful Kingdom in Southeast Asia named Majapahit kingdom. 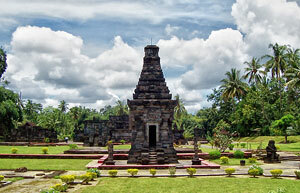 Nowadays, the relic of Majapahit Kingdom is still exist remaining the history itself, and it lies on East Java. Enjoy the ruin of history by looking for temples, statues, remarkable residents, ancient tools and many things about Majapahit Kingdom. Visit now!